I’m building a travel wardrobe for when I visit hot humid countries this year. I want lightweight, comfortable cotton garments that I can wash and dry by hand and wear the next day. 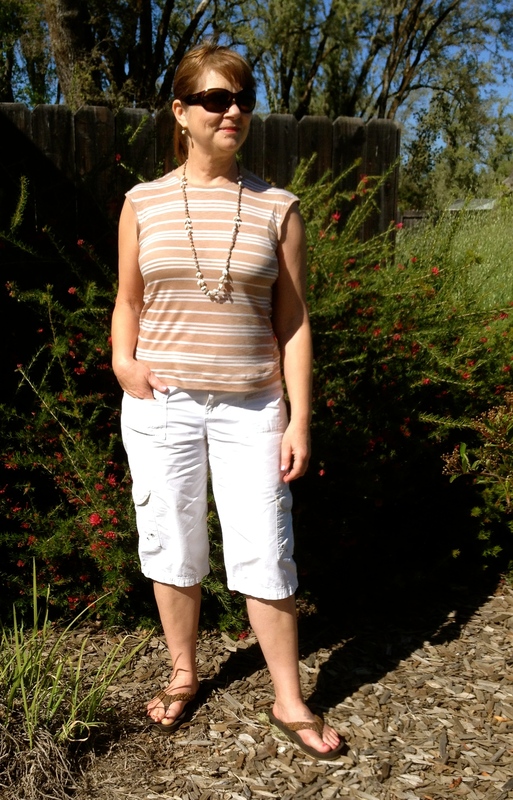 I’m testing a few knit top patterns designed by Lekala Co. for style and fit. I have several yards of inexpensive knit fabric to make up some of the styles, so I’m jumping right in. 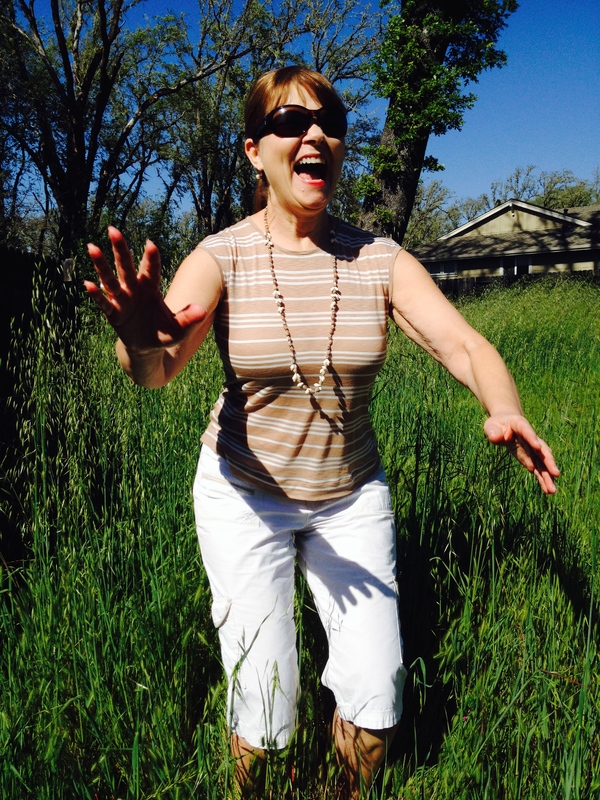 And, it’s getting warmer and warmer every day, as spring turns into summer, right here in Northern California. I should be cool as a cucumber in my new clothes. The first style I tried was Lekala 5651. 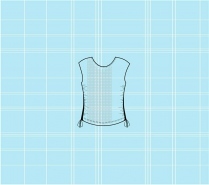 The diagram shows a sleeveless top, high-cut neck, and gathers along the side made by a tie inserted along a casing formed in the the seam allowance. I thought that looked interesting, but after I downloaded the pattern, and realized that it really wasn’t long enough to do a decent job of gathers and still be a flattering length, I decided to just make a simple top. (At present, there are no instructions included for making this top). I’m glad I didn’t spend too much energy on this style. It’s just OK. However, now I will adjust the width of the shoulder seam, make the armhole deeper under the arm, cut the front neck lower, and lengthen the bottom edge so that I can gather it on the sides. Wow, a whooping three inches off the ground! I’m looking forward to version number 2. I’ll be posting my stretch-knit fabric garments on “The Monthly Stitch” during May, which is “Sewing with Stretch Fabric” month. Stop by and check out this amazingly creative sewing group when you have a chance. 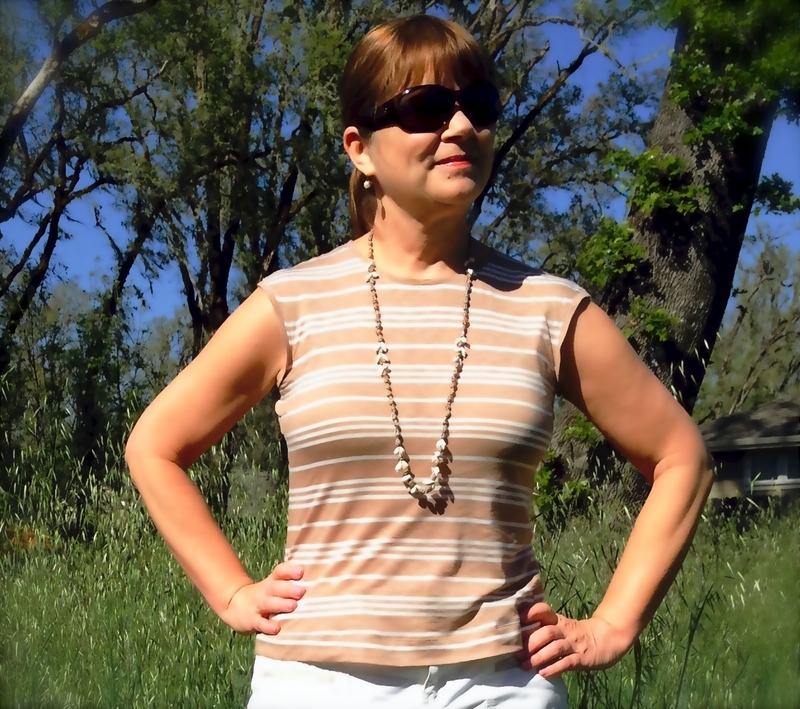 This entry was posted in Customizable Sewing Patterns, DIY, Lekala, Mexico, Sewing, Travel, Weather and tagged cotton garments, Customizable Patterns, diy, Lekala 5651, Lekala.co, serving, sewing, Sleeveless top, stretch-knit top, striped top. Bookmark the permalink. I am also in need of a bunch of sleeveless tops. I bought some stretch lightweight jersey from Britex the other day and am planning to make a couple of tops with it. I will check this pattern out! 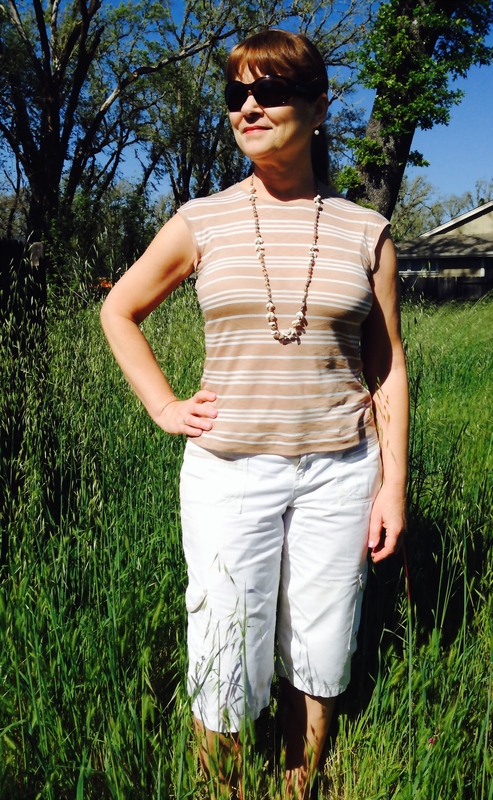 What a nice, simple pattern; I need sleeveless tops for the summer too. Your outfit looks very cute. It would have bee great to see ruching in this fabric. How frustrating that it didn’t work. The top that you ended up with looks good. 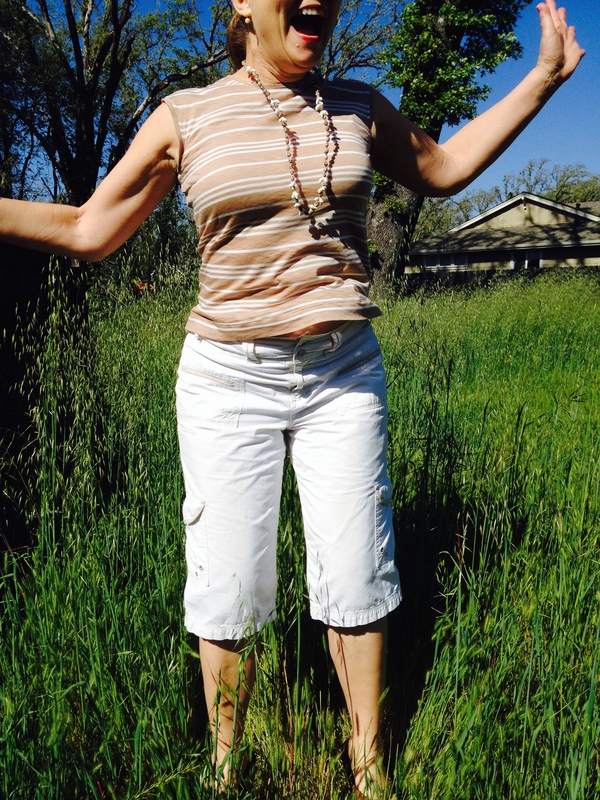 I go back and forth about sleeve lengths in the heat, but I am in the drier Sacramento heat. Nothing humid for us. I often use gauze peasant or tunics.